The use of technology dominates and has supposed to have made life easier and simple. A quick scan of your phone will show loads of apps (mine is also full of toddler games for miss 2). Some apps I have downloaded because they looked great at the time and I have never used, others I absolutely could not do without. I recently set myself a mission to get my life organised – I have always prized myself on my awesome time management –until Miss 2 appeared in my life. Juggling mum and domestic responsibilities with a busy business has put me inside the pressure cooker once too often – to the point I turned my business on its ear at the start of the year making major decisions to lessen the load. Since throwing outlook out of my life and using just Gmail I am guaranteed my contacts sync and I can reply to messages, move them into folders, delete them and it all be done in real time with no risk of something going wrong. Time saver! The only complaint I have is I can’t set reminders like in Outlook – I am currently experimenting with an app called Boomerang to help with this task, I will let you know how I go. Whichever bank you are with there should be an app for it. To be able to pay bills on the run, transfer money or even to check balances without logging in to your computer saves time wasting and makes this task less onerous! Part of my organisation of my family was to set-up meal plans and also look for interesting, quick and easy recipes (enter my Pinterest addiction). Food planner allows you set up a meal plan (you can use theirs or create your own) add recipes (again you can import some or use theirs), add an inventory of your fridge and pantry and create a shopping list. I have only just started using this system moving from a paper version – and very excited about the app! Since downloading the app on my phone I am officially addicted. I can be anywhere, scanning and pinning. Creating boards for all sorts of things from recipes and craft to business help! This is a Facebook app which gives you access to your business pages, I manage a few for our business and also clients. This app gives you full access to everything (including messages and events) and allows you to post as the page – always. It is also separate to my personal FB page so I don’t get sidetracked! Knowing where I am, what I am doing and also what others are doing in my family is very important. 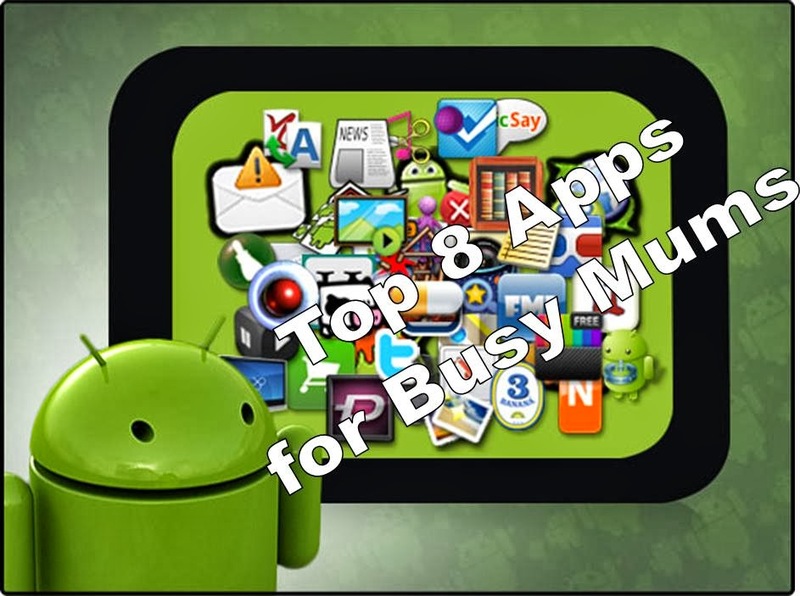 There are loads of apps you can download to help you to keep track of your family – but I have separate Google calendars for different areas. I can look at any of them individually or all together. Syncing nicely between my phone and computer in real time! Googles ‘basic’ version of Evernote. With Google Keep I can write notes, checklists, voice recordings or take a picture and then categorise with a colour. It is saved both on my phone and on my drive account so I can access it anywhere. I can also share the nore via e-mail or social media. Great way for recording ideas and reminders on the go. My biggest problem is when I pull my phone out near my toddler I get asked / pestered for her to use my phone – great toddler boredom busters include a raft of games she can play (and learn from); pictures and video of herself and; You Tube for all her favourite shows! This is great except if I really need to use my phone! Providing you keep to the simple rules I mentioned above you can keep your life sorted with some terrific apps – and there is bound to be an app that has been developed for what you are looking for!